NEW HAVEN, CONN (April. 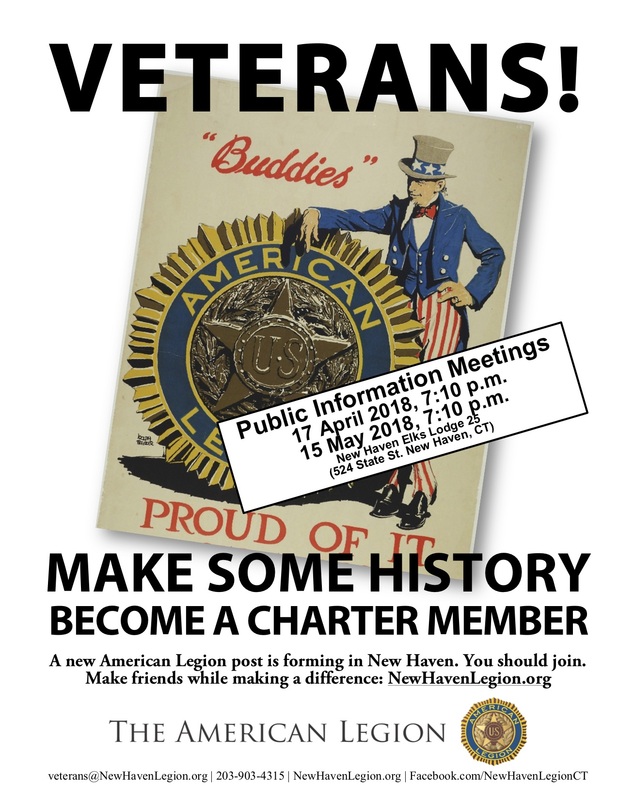 2, 2018)—Organizers of a proposed American Legion post in New Haven, Connecticut are holding additional informal informational meetings on Tuesday, April 17, 2018 and Tuesday, May 15, both at 7:10 p.m. at the New Haven Elks Lodge 25 (524 State St., New Haven, CT 06511). The meetings are designed to reach out to fellow veterans, gage interest, recruit members, and promote the proposed post in person and online at NewHavenLegion.org and on Facebook @NewHavenLegion210. 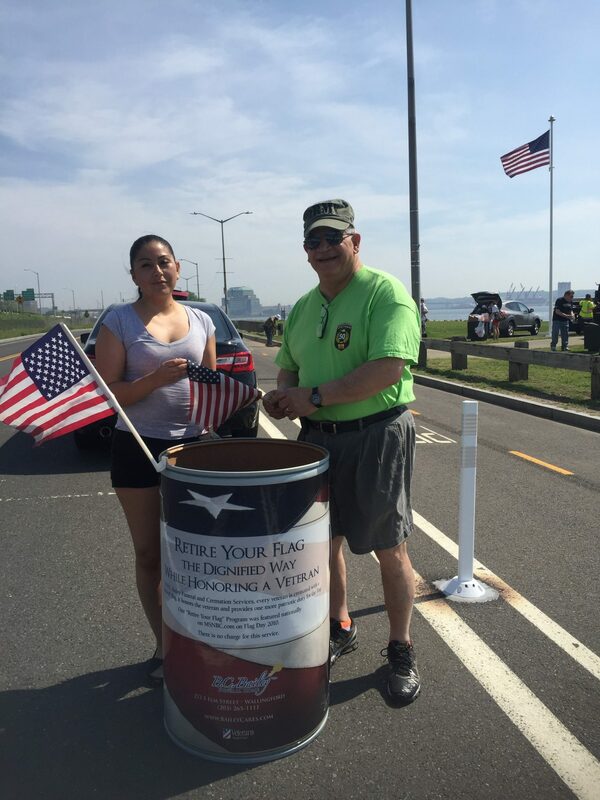 Organizers can be contacted online at NewHavenLegion.org, on social media on Facebook @NewHavenLegion210, or call 203-903-4315.